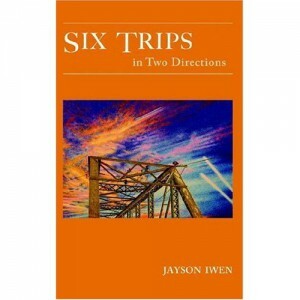 A memoir that alternates between intense lyrical observations of Jayson’s first years in The Middle East, and a meditative socioeconomic dream narrative, Six Trips in Two Directions defies all conventional literary categories. It is like nothing before it. With Six Trips in Two Directions I was consciously trying to do something groundbreaking, by fusing lyrical poetry, postmodern fiction, investigative reporting, science, religion, and modern philosophy into one coherent vision. I was likewise trying to document my psychological development as I adapted to Lebanese culture over a period of two years (in the book I have combined the two years into a single composite year). I wrote the shorter poems in a form I adapted from the Lebanese version of Arabic zajals. As I became more acclimated to Lebanese culture, I began integrating Lebanese folk proverbs into many of these shorter poems. After finishing Six Trips, I continued to play with this form, eventually taking it to its logical conclusion in English, turning it into the modular form manifested in my Polyvalence poems. I had a hard time thinking of a title for Six Trips, and ultimately decided to take a pragmatic approach. I simply gave it a title that described what it is: six movements back and forth between two different mindscapes. The cover image is a bridge, which I thought was appropriate for something thus hovering between. In the tradition of such classics as Nabokov’s Pale Fire, comes an absurdist literary puzzle, a distinctly 21st century fiction that manages to be both a metafictional romp through Ceausescu’s Romania, and a lyric meditation on brutality, desire, and the search for redemption. A Momentary Jokebook is an exercise in contemporary myth-making, at once strange, comic, and terrifying. 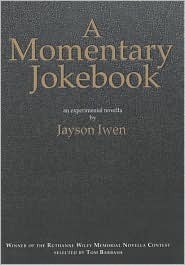 A Momentary Jokebook was a solution to a number of creative problems I had been trying to resolve for years: First, I wanted to write a book that employed the second person point of view in an unaffected manner; joke conventions took care of that. Second, I wanted to write in a style that openly violated fundamental tenets of psychological realism, using archetypal characters, nonlinear time, etc, but I didn’t want it to be immediately identified as nonrealistic; setting it in the ambiguous “reality” of Romanian history took care of this. Third, I wanted to create a narrative that was both cohesive and fragmentary, allowing me to work any of my evolving interests into it; again, jokes took care of this. Finally, I wanted to have fun doing it; ditto. A Momentary Jokebook is often described as having a “European” flavor. I didn’t intend for that to happen. 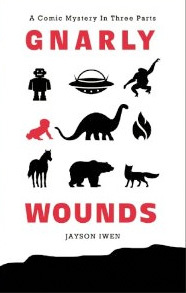 In fact, I had intended the book to be a critique of American culture, written in the satirical tradition pioneered by American writers such as Twain, Bierce, Vonnegut, Ellison, and Brautigan. I did feel compelled to sublimate my stronger political critiques in a manner perhaps reminiscent of that used by soviet dissidents. And, of course, it is set mostly in Romania… or is it? Perhaps when the complete edition emerges it will be clearer.